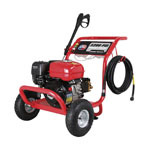 Portable electric pressure washers provide high-pressure water to clean and remove mold, grime, dust, mud and dirt from surfaces and objects. 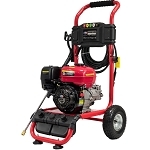 Great for use on buildings, vehicles and concrete road surfaces. 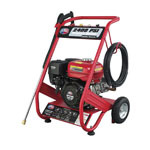 Pressure washers feature an adjustable spray from fine to intense. Compact, upright design with 2 axle mounted wheels allows easy roll-away mobility. 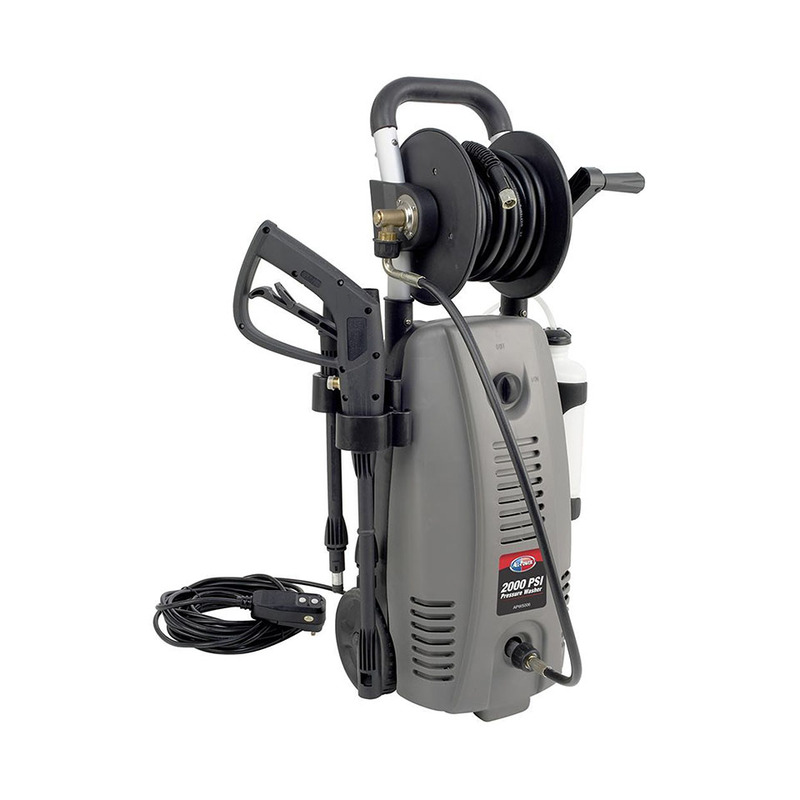 Pistol style grip with trigger spray wand dispenses up to 1.6 GPM for efficient pressure washing. 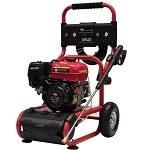 Powered using an air cooled industrial motor. 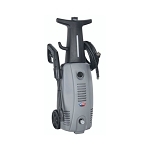 Unit features a built-in holster for spray wand storage when not in use. 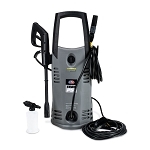 Includes 19L pressure hose, soap dispenser, brass hose connector and 35L GFCI-protected power cord. Copyright Tool Shed Supply. All Rights Reserved.